Shuffle the cards and deal eight cards to each player if there are two, three or four players. If there are more than four players, deal seven cards to each player. The rest of the cards form the draw pile. The top card from the draw pile is placed face up to start the discard pile. If this card has a special ability, it is treated as if the dealer played it so they get the benefit of the special ability. The first player to play cards is the player to the right of the dealer and play moves in a counter clockwise manner. On a player’s turn they can play one of their cards. A player can play any card that matches the color, number, picture or message of the top card of the discard pile. A wild card can be played on top of any card. If a player is unable to play a card they must draw the top card from the draw pile. If the player can play this card they can play it immediately. If they can’t play it they must add it to their hand. The two cards on the far left can be played because they have the same number. The two middle cards can be played because they are the same color. The two right cards can be played because they have the same text. Finally the wild card can be played at any time. Which Way? : The player who plays the card gets to decide if they want the turn order to stay the same or if they would like to reverse it. For example if play is currently moving counter clockwise, the player can choose to keep it moving counter clockwise or change it to move clockwise. Draw 1 You Varmints: All players but the player who played the card has to draw one card from the draw pile starting with the next player. Wild: Any card that features the words “wild!” acts as a wild card. The player who played the card can change the color to any color that they want. and/or Wild: Any cards that say “and/or wild” act as wild cards allowing players to change the color. These cards also have another ability printed on them. The player who plays it gets to choose whether they want to activate this ability. What Me Worry? You Worry! 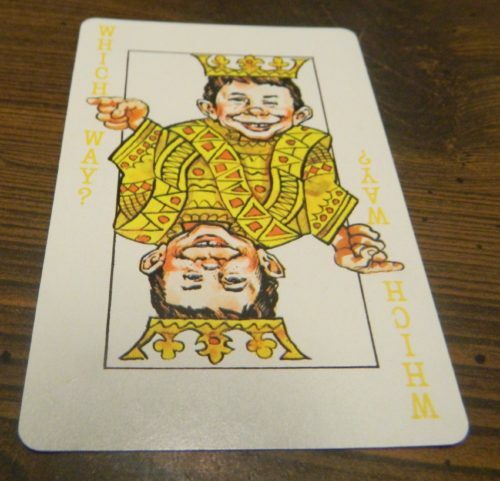 : This card is played in response to another player playing a card against you or can be played like a normal wild card. This card prevents you from being affected by the ability on the card played against you. For example if an Exchange card is played against you, you don’t have to exchange your hand with the player that played the card. The ability of every other card is reversed to the player who originally played the card. For example if a card forces you to draw cards, the player who played the card will have to draw cards if you play this card. After resolving the effects, the player who plays this card gets to change the current color to whatever they want. Joker: In most cases the Joker card works like a normal wild card. If you only have one, two, or three cards in your hand when you play the Joker you can choose to immediately end the game. The winner is then determined by the value of cards in each players’ hand. Each number card is worth the number printed on the card. All other cards are worth five points. Whichever player has the least points wins the game. 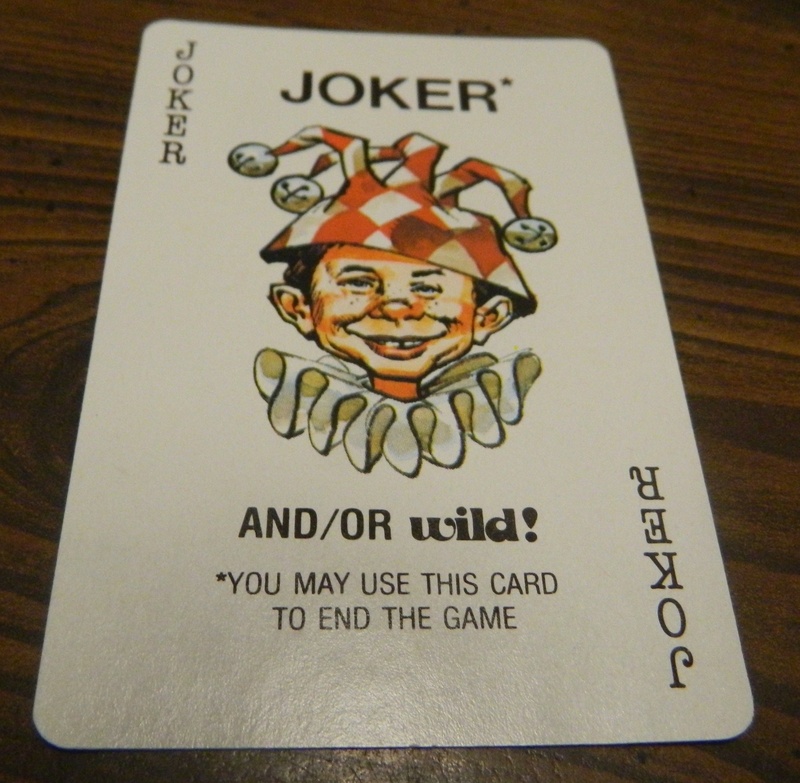 The game ends when either a Joker card is played to end the game or a player plays their last card. A player who plays their last card automatically wins the game. If the Joker card ends the game, whichever player has the least points in their hand wins the game. Let’s get the obvious out of the way. 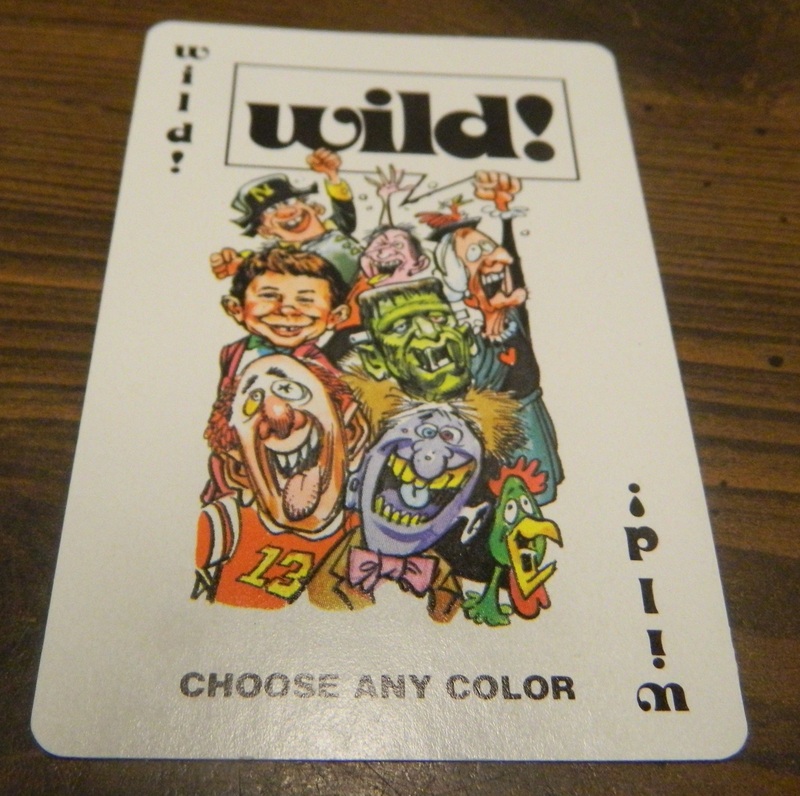 The MAD Magazine Card Game is essentially UNO/Crazy 8’s with more take that cards and a MAD Magazine theme pasted on. This is not necessarily a good or bad thing. 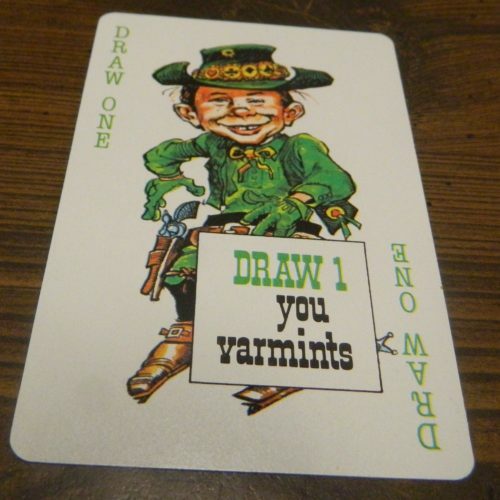 If you hate UNO, there is next to no chance that you will like the MAD Magazine Card Game. If you like UNO though I think you could enjoy the MAD Magazine Card Game. Since pretty much everyone has played UNO or Crazy 8’s at one point in their lives I am not really going to talk much about these aspects of the game. Most people either love or hate these style of games. 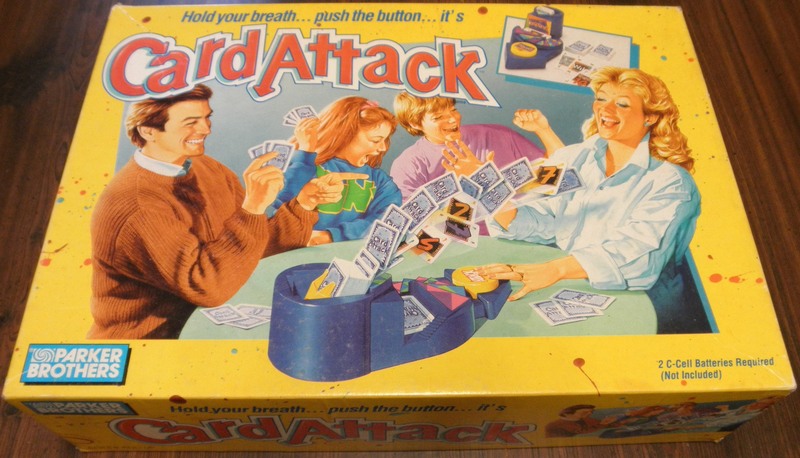 The main gameplay mechanics are exactly the same in the MAD Magazine Card Game. You play cards that match the color/number/text of the card that was last played. Occasionally you will play a special card that affects how the game proceeds but you basically just try to get rid of all of your cards. A card that lets you give two of your cards to another player. This card is especially powerful if you only have two other cards in your hand since it can win you the game. The What Me Worry Card protects you from cards played against you. I actually really like this card since it gives you some protection and makes a player think before playing a card against another player. The Joker card lets you end the game early which prevents situations where players are stuck only a couple cards away from winning. The interesting thing about the Joker card is that you won’t automatically win the game so you need to consider whether you have less points in your hand than the other players. Finally there is the exchange card which is by far the most powerful card in the deck. This card is way too powerful since it can move you from last to first place. Whoever ends up getting an exchange card will likely win the game and will probably end the game for the player it is played against. These special cards are interesting because in some ways they make the game better but in other ways they make it worse. The game has a larger take that feel to it than UNO which includes quite a bit more luck. Getting a special card usually gives the player a big advantage in the game. If you hate take that cards I don’t think you will like the MAD Magazine Card Game. At the same time the special cards do add some interesting mechanics to the game and make the game a unique experience since there is more to the game than just playing cards that match numbers or colors. Choosing when to play these cards actually adds a little strategy to a game that has next to no strategy otherwise. I find it strange that these special cards both add luck and strategy to the game at the same time. Having never really read the MAD Magazine, I wouldn’t really consider myself to be a big fan of the MAD Magazine theme. That isn’t a big deal since the game has very little to do with MAD Magazine. Outside of the MAD style artwork, the magazine has no impact on the game since none of the mechanics are related to the theme. Some of the text on the cards tries to be funny but I didn’t really find the game to be very funny. Fans of MAD Magazine will probably really like the game’s artwork but otherwise the game doesn’t really offer much for fans. 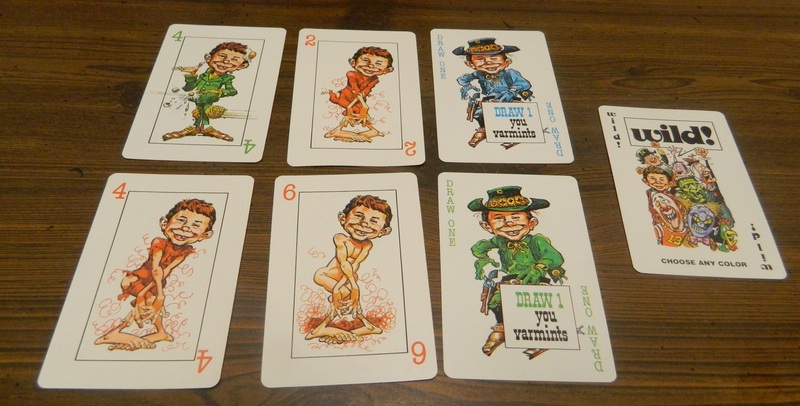 Your enjoyment of the MAD Magazine Card Game comes down to whether you enjoy UNO/Crazy 8’s. 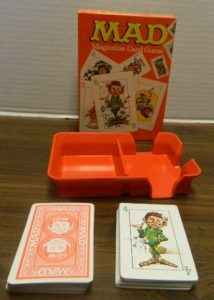 If you can’t stand these games there is no reason why you will like the MAD Magazine Card Game since it is essentially the same game with some additional special cards. The special cards add a little more strategy to UNO but at the same time add more luck since most of them are overpowered. Fans of the magazine could also be a little disappointed since the theme doesn’t really apply to the game other than the artwork on the cards. 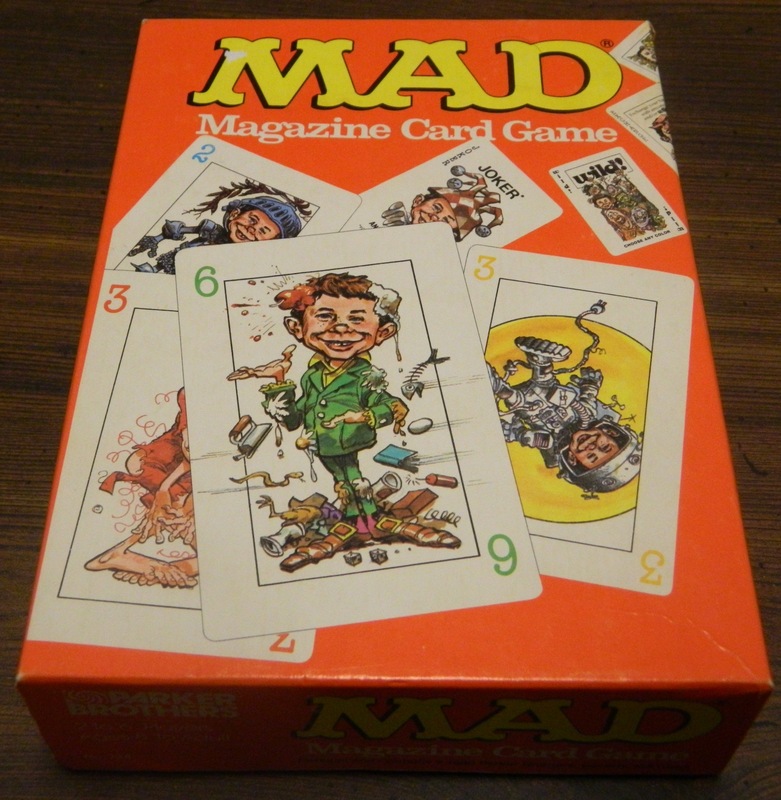 If you like UNO and like the idea of there being more take that cards, I actually think you could enjoy the MAD Magazine Card Game. Although the game plays almost exactly the same as UNO, the special cards actually make the game feel different than UNO. If you can find the MAD Magazine Card Game for a good price and you don’t mind UNO with a little more take that, I think it is worth picking up. If you would like to purchase the MAD Magazine Card Game you can purchase it on Amazon here . My mom and I are playing the Mad game. I laid down a give 2 cards card and she threw a what me worry down and I threw one down on top of hers. Whose turn would it be given there are only two of us? That is an interesting scenario. Unfortunately the rules don’t specify how the situation should be handled. Therefore I think you could handle the situation however the players prefer. I could actually see either player getting the next turn. The rules specifically say that the next player after the player who played the original card gets to play the next card. Following the rule you would think that you would then get to play two cards in a row, the “what me worry” and then another card. This would allow you to play two cards in a row though and I don’t know if that was intended either. This is why I could also see your mom getting to play the next card. The designers of the game must have never thought of this scenario as it is never addressed in the rules. 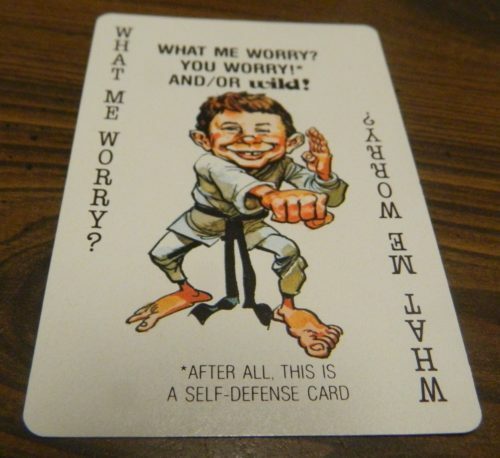 It never even says whether you can use a what me worry card on another what me worry card. Therefore you could interpret that rule however you want as well. Adds some interesting new cards to UNO. Easy and quick to play. Is essentially Uno with a couple different types of cards.